Presque Isle State Park is among the nation's top ten birding locations according to Birder's World magazine. This is because many species of birds migrating between the U.S. and Canada choose the park as a haven to rest and possibly nest along the long flight. The park has set aside a portion of Gull Point (located on the eastern end of Presque Isle) specifically as a bird habitat. This makes Gull Point a great place for avid or beginner bird watchers to visit and observe. It's recommended that bird-watching beginners take a friend along who is educated on birds, especially those likely to be seen while on the trip. However, bird watching can be fulfilling with no prior knowledge, and equally fun alone or with others. Eager bird watchers can find many helpful books at the local library or book store. A good bird guide to use when going bird watching is "The Sibley Guide to Birds of Eastern North America." This guide has an iPhone app available. 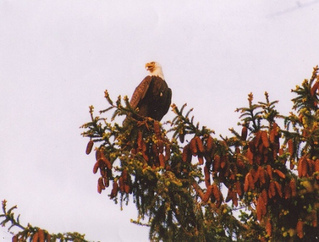 Most parks and other bird watching locations offer pamphlets of reliable information on the kinds of birds that frequent the area as well. Just stop in at the park office or visitor center to pick one up. What is so great about bird watching? It gets you out there and interacting with nature. Bird watching is a quiet, soothing hobby and a great break from the day-to-day. The only money you need to spend is on getting a pair of binoculars and on gas (if driving). It can be very educational, providing a chance to learn about your region and its priceless beauty. You may see animals other than birds and develop a more full picture of your natural region. Presque Isle State Park: The Presque Isle website discusses the best times and practices for bird watching on the isle, specifically at Gull Point. Erie Bluffs State Park: A park in the Erie area that is a great location for bird watching along with other activities and forms of recreation. Presque Isle Audubon Society: The Audubon Society is devoted to conservation and the protection of birds and other wildlife. Purple Martin Conservation Association: The PMCA is a nonprofit organization committed to the survival of purple martins across the nation through scientific and management techniques while also educating the public on endangered species. The Bluebird Society of Pennsylvania: An organization devoted to the survival and proliferation of the Eastern Bluebird by providing education and monitoring of the bird species' status as well as opportunities for the public to get involved. 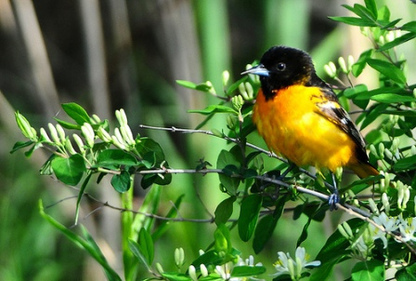 Tom Ridge Environmental Center: The TREC website features a list of some of Presque Isle's roughly 320 bird species with great photographs and bird watching as a hobby. Erie National Wildlife Refuge: This pdf pamphlet highlights another great destination for birdwatchers, the Erie National Wildlife Refuge in Crawford County. This refuge has been deemed an important bird area by the National Audubon Society and preserved for its wildlife.